Were There Any Negative Impacts That The Bankruptcy Overhaul in 2005 Made On Ordinary People? The answer to this question, unfortunately, hinges a great deal on your own personal feelings about the subject of bankruptcy. I have heard many people tell me (with absolute conviction) that people who file for bankruptcy are the very individuals who are bringing the country down, because they are irresponsible and do not want to take control of their lives. I believe this sentiment is ill-founded, and I’d like to explain why. The credit industry in this country is incredibly powerful. Its lobbyists are considered to be the finest in the nation, and they get pretty much what they want. As the economy has taken a dive, and as more and more jobs that people once thought they could count on disappear, individuals and families have continued to look towards their lines of credit as a last resort to stay afloat. This means using things like credit cards on food, gas, rent, utilities, and other basics that people need in order to live. And as people have come to rely more and more on this last-resort devices, the credit industry has made it easier and easier for people to take out ever-larger lines of credit (there are very few of us who have not received four or five pieces of mail per week that are nothing more than applications from some company telling you how easy it is to get free money). Of course, the credit industry has gone to great lengths to claim that it is the individual’s personal responsibility that must dictate their spending habits. And this claim is fair enough on its face. But this does not really explain why there are thirty to forty booths on every college campus the first day of classes filled with credit card vendors throwing free t-shirts to every kid that walks by, while screaming, ‘Hey, come fill out this application , and you’ll have your very own credit card by the end the of the week’; or why the credit industry ruthlessly targets senior citizens with ad campaigns for large lines of credit, when they know full well that these individuals are on fixed incomes and have no real ability to pay back the sums of money that they desperately need. The industry goes after these people not because they see an opportunity to help out a group of citizens that need a helping hand in their time of need; rather, they see people who are either gullible or completely cash-strapped to meet their needs. For it is these people who will typically overspend on their credit card purchases, who will accidentally forget to pay their monthly minimum on time (which allows the industry to pump up the interest rates through the ceiling), and who will most likely take out another card in order to pay for the first card (the old ‘robbing-Peter-to-pay-Paul’ scenario, because they simply have no other income). These people are not considered risky investments to give lines of credit to (which of course they should be). Instead, they are thought of as cash-cows, over whom the credit industry salivates and can’t wait to get their hands on. Add to this fact that in 2005, the credit industry literally wrote the bankruptcy overhaul that passed overwhelmingly in Congress, which makes it more difficult to get rid of their unsecured debts, and you know have a perfect circle of ridiculousness. The industry pumps a bunch of credit into the system, bilks people with outrageous fees, surcharges, and interest rates, and then says ‘too bad’ when you are dead broke because the economy can’t create any new jobs (which they helped to get rid of in the first place). But there is a way around this. 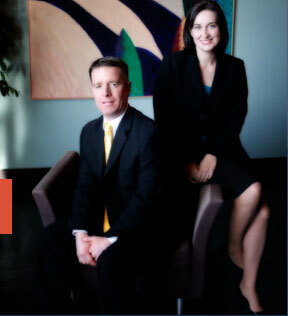 The affordable St. Louis bankruptcy lawyers at Brinkman & Alter, LLC have been helping people get back on their fiscal feet for years. Our goal is get you on the road toward financial freedom. Whether it is a St. Louis Chapter 7 bankruptcy, or a St. Louis Chapter 13 bankruptcy, our bankruptcy legal services are the finest in the state of Missouri.